Congratulations on completing 15 wonderful years of your life. I wish that your life be the same always as it has been till now. Happy birthday! May you never get any sorrow in your life and your life be filled with oceans of happiness always. A very happy 15th birthday. 2 years as a teenager! Wow. You are living the most wonderful time of your life. Never let it wasted and enjoy to the fullest. Happy birthday! May you be blessed with loads of happiness and joy all through your life. Have a blasting and rocking birthday young lad. Happy birthday! May all the joys of the world be showered upon the young 15 year old, who has always loved and cared for us all. Happy birthday to you dear!You are sweet, you are nice, you are the one who is 15 now! You are sweet, you are nice, you are the one who is 15 now! Birthday wishes for a sweet 15 year old, Who makes us smile and makes us special. Now is the day for you to smile, to be the special one This Day! Welcome to 15..gone is 14…! Welcome to the new level in your life. New level brings new experience and new people too… Happy Birthday dear! As you blow the candle this birthday, just remember to make a wish that can truly change your life! Happy Birthday to one and only dear and near one in our lives! Happy Birthday to the special 15 year old, With lots of love and lots of concern for the person who has always made others smile. Welcome to 15! Welcome to the new level in your life. Happy Birthday dear! As you blow the candle this birthday, just remember to make a wish that can truly change your life! Balloons are hung; candles are blown, but remember that you are no more 14! Happy Birthday to you! Eat your cakes, and make your wishes, all in this day, when you’re 15! Wishing you the happiness of this whole world, with lots of love! Happy Birthday dear! Candles that show you are 15, tells us that you are no more 14. But remember you are still a teen, who can still enjoy the fun of life! Happy 15th Birthday, wishing you a dashing new year ahead filled with lots of joy and peace! Hey you’re 15, still in your teens! Celebrate this occasion and be the most lovable one! Gifts to open, wishes to receive, enjoy your party for you are 15! Happy Birthday Rock Star! Make the most out of this 15th birthday. May joy remains with you all through your life. Happy birthday! 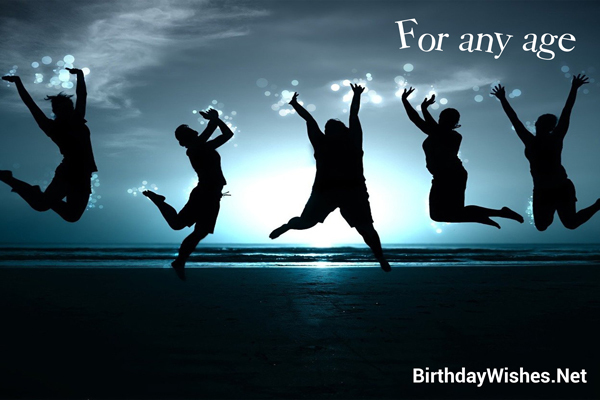 Check out this amazing collection of 15th birthday wishes, the 15th birthday wishes on this page incorporate the messages from these article, but feel free to add your own.